Chrome Volt Thermo Twin Valve Buy Online At Bathroom City! A flawless Ultra product, this Volt Thermostatic twin valve is the perfect addition to any contemporary home. Made in Britain and from solid brass, we can guarantee you a robust product that has been tested to the highest standards. A truly flexible product, this Volt Thermo valve is reversible meaning there is no need to call a plumber, just a simple alteration of removing the cartridge and turning 180 degrees to replace. 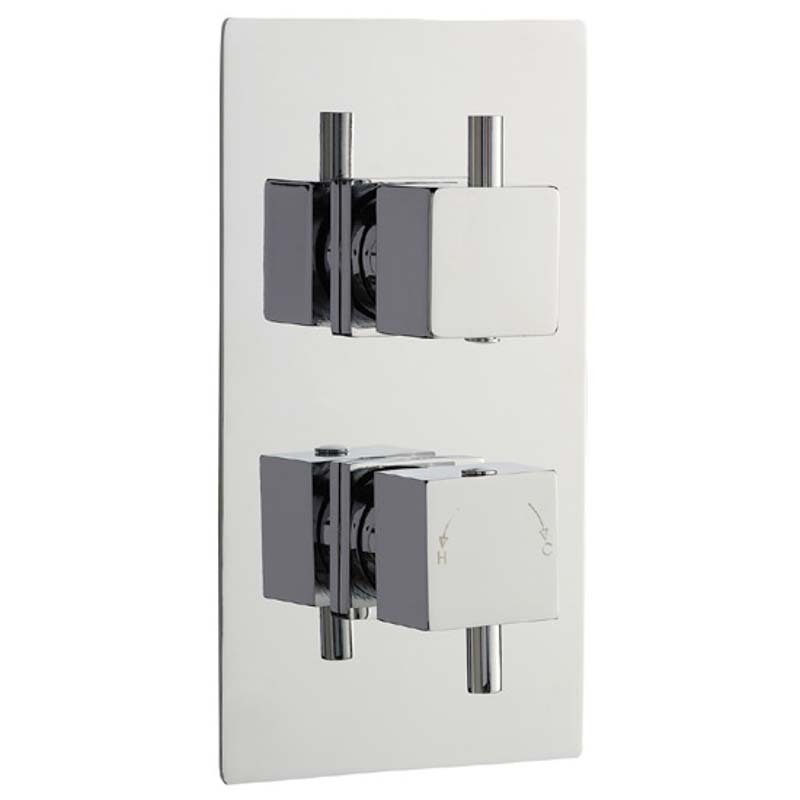 Finished in a stunningly polished chrome, an eye-pleasing addition to your bathroom and the perfect blend of interiors. Complete with a 10-year manufacturing warranty to ensure a stress-free product.